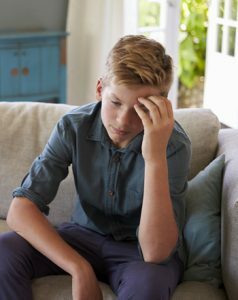 When teens get depressed, sometimes you will see noticeable behavior changes, sometimes they will be more subtle. If you have been wondering: Is my teen depressed? Then look at this list and if the answer is yes to more than half of the symptoms, you might want to investigate further and take action to help them. They may have little or almost no motivation. They might become withdrawn and not communicate. They might close their bedroom door and stay in their room for hours at a time, on evenings and weekends. Depressed teens may sleep excessively. They may exhibit apathy, not caring about anything they previously showed interest in. Some might even participate in criminal behaviors. They may shoplift or vandalize property or bully other kids. They might drink and drive or use alcohol to excess. They may also engage in illicit drug use. In keeping with other items in this list you may see rebellious behavior from them. Some engage in promiscuous sexual activity. Teens who are depressed my complain of pains, including headaches, stomach aches, low back pain, or fatigue. There could be a loss of interest in food, and there will be a resulting weight loss. They may eat more and compulsive overeat and that could result in rapid and noticeable weight gain. They could experience memory loss or complain of fuzzy thinking or exhibit poor logic. They may have trouble at school. They may be late for classes. Teachers may report a sudden drop in grades. They can have difficulty concentrating. They may struggle with making decisions for themselves. You might see withdrawal from friends, self-imposed isolation as well as sadness and loneliness. Some teens suffer from excessive or inappropriate guilt. Depressed teens may engage in irresponsible behavior. They may shirk responsibility. Ignore chores. Failure to show up for part time jobs. Sometimes there is a preoccupation with death and dying. Insomnia can also be an issue. You may see staying awake at night and sleeping during the day. Sadness, anxiety, or a feeling of hopelessness can be present. 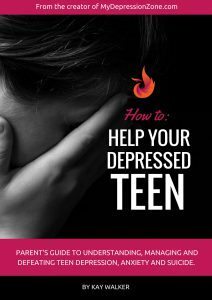 If you need help or what to research teen depression further, you might find this Parent’s Guide to Teen Depression useful. It’s shocking that most people suffering from depression, well actually, most people in general, do not know about ontology. There are therapeutic disciplines that use it and it has been found to be highly effective. There is a course for teens that uses it and is run by a company called Landmark Worldwide. Parents with struggling teens should consider the Landmark Forum course for their teens. 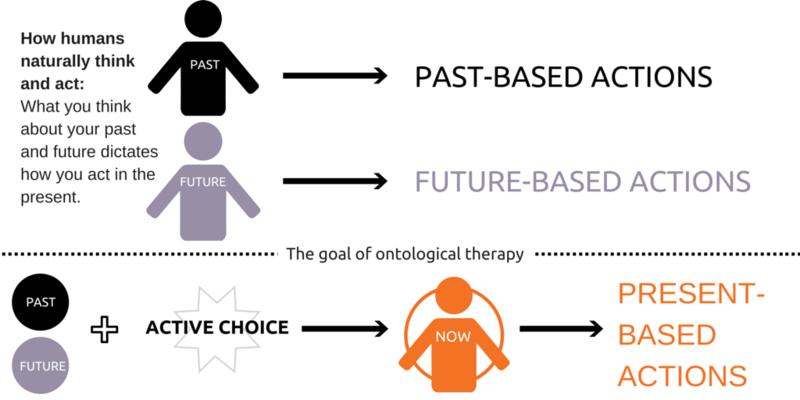 If you’d like to learn more about ontology, please reach out to coach Kay Walker at [email protected] She uses the therapy in her practice and can answer all your questions about it and direct you to any useful resources. Is your teen regular? This may seem like an odd question but having regular bowel movements (aka pooping at least once a day or every other day) is important for good mood. Read this quick article to learn about your body’s second brain and how it affects your body. Take this knowledge to your teen so they know how important it is to have regular bowel movements. If your teen irregular, you’ll want to mention this to their doctor. You’ll be able to learn of ways that you can get your bowels back in working order. To learn more about the connection between your brain and gut check out the book Second Brain by Michael Gershon. Meditation has been around for centuries but in the last five years it’s grown in popularity particularly among young adults. 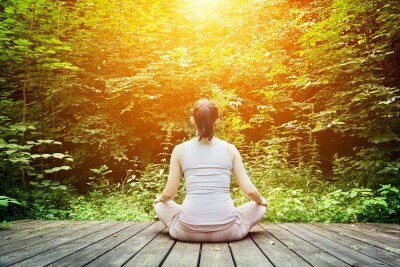 Read the article below on meditation. It may be something you can introduce to your teen. A good way to teach about it is through yoga. Many yoga classes involved some meditation at the end. Teaching good habits to your teen now will help them as they move into adulthood. You may also want to share one of Kay Walker’s moodboosters (link below) with them. It’s a good introduction to guided meditation with music and they’ve been quite popular among teens. Meditation is a Buddhist derived practice that teaches you how to control and focus your thoughts, as well as, how you react in conjunction to what you think. During the meditative act you learn how to develop a state of attention that’s highly alert and relaxed. The ultimate goal is to learn the skill of objectivity. To “be with what is” in reality, with indifference to it. Open monitoring: keeping your attention open means monitoring all aspects of what you are experiencing and doing your best to be objective about it. Meditation can be done while sitting but you can also actively meditate while walking or standing. Scientific studies prove that meditation has many benefits. It’s been known to reverse heart disease, pain, regulate emotion, reduce stress and increase the body’s immune system and its ability of prevent and fight disease. When the brains of meditators and non-meditators are compared their are also common structural changes. Most meditators have higher levels of Alpha waves, which helps to lessen anxiety and depression. There amygdala (a brain region that regulates emotion) is smaller while areas of learning, memory, and emotion regulation are larger and function better. A 2014 study at Johns Hopkins found meditation to be as effective as antidepressants for treating depression. In a study conducted by Harvard Medical School, researchers used MRI technology (a form of brain imaging) that allowed them to view activity in the brain during meditation. 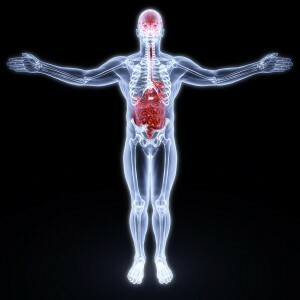 Their findings showed that key brain regions activated was in charge of the autonomic nervous system, which regulates blood pressure and digestion. Those processes are intrinsically linked to stress response. Find a quiet space with no one around or distractions. Ensure the environment is dark and the temperature is comfortable for you. Once you start the timer for fifteen minutes you will practice sitting quietly and focusing on your breath. Breath in through your nose and out through your nose. Focus on feeling the sensation of your breath. Focus on the sensations you feel as your breath moves in an out of your nose. Do this for the entire 15 minutes. You will have thoughts during this time. Some will make sense and some won’t. When you have a though just allow yourself to think it and then practice setting it aside and bring your focus back to your breath. This 15 minutes will likely be very difficult if you are not experienced in meditation. Each time you practice, increase your time by 5 minutes. Try to work yourself up to an hour/day. The key to knowing your meditation is working is that after a session you will feel relaxed, calm and joyful. If you understand the benefits of meditation and want to teach it to your teen, you can try to get the interested by sharing a moodbooster with them. Each moodbooster paris music and coaching to help shift negative mood states. Download a free track here.